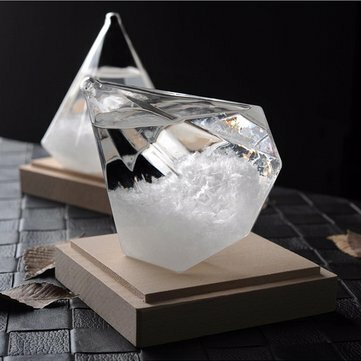 Bottle contain liquid repeat the crystallization of various expressions, depending on the weather changes. The change is not so observable in summer and it will be more affectable in winter. Besides it is only for simple forecast and not to the exact of weather forecast. The Storm Glass may need one or two weeks for the crystal to stabilize and adapt to the environment. Do not place in direct sunlight or heating and air conditioning to avoid deterioration of the crystal.